Just 28 days ago, Nancy Pelosi claimed the speaker’s gavel and promised that her House would be “bipartisan and unifying.” What have we seen since? 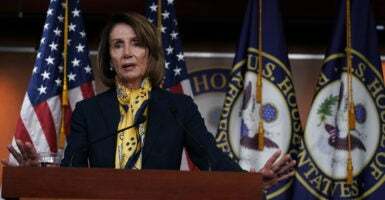 House Democrats are pushing to open the floodgates of millions of taxpayer dollars to pay for elective abortions—even as Pelosi insists that she can’t offer more than a dollar to build a border wall. And then earlier this week, Democrats on the Natural Resources Committee announced they would remove “so help you God” from the oath that is administered to witnesses who testify before the committee. So under the new Democratic House majority, it’s “yes” to taxpayer funding for abortion, “no” to a border wall, and “no” to God. On Tuesday night, Rep. Garret Graves, R-La., a Republican member of the committee, joined me on radio to talk about an amendment he filed to put God back in the oath. On Wednesday, God was put back in the oath. This isn’t the first time this scenario has played out. In 2012, Democrats removed God from their party platform. After widespread criticism, Democratic Party officials reinserted an oblique reference to God—but only after voting three times amid a chorus of boos from convention delegates opposed to God in the platform. She is right. There has never in our nation’s history been such a difference between the two party platforms. And that is an important distinction to make because the research shows that politicians vote more than 80 percent of the time with their party platform. Should anyone be surprised that the same party that wants to take the lives of children up to the moment of birth would also try to eliminate any reference or notion of accountability to God? Removing God from government has increasing become the focus of the left. Of course this is not new as the roots of the modern left go back to the French Revolution, whose members’ first target was to eliminate God and those associated with him. The new Democratic Party is clearly out of step with Americans on faith and public service. Polling shows that a majority of Americans want their elected officials to believe in God. The most likely reason is that a belief in God gives citizens a level of comfort knowing that their elected officials are more likely to understand that their accountability goes beyond the citizens, who unlike God, don’t see everything. In a nation whose motto is “In God We Trust,” it is a sad commentary on the mindset of House Democratic leadership that removing God would even be considered. Although the House committee has reversed course, I believe it’s important that Pelosi be put on notice that as Americans, we want and need the presence of God in our government. 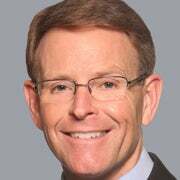 Tony Perkins’ Washington Update is written with the aid of Family Research Council senior writers.